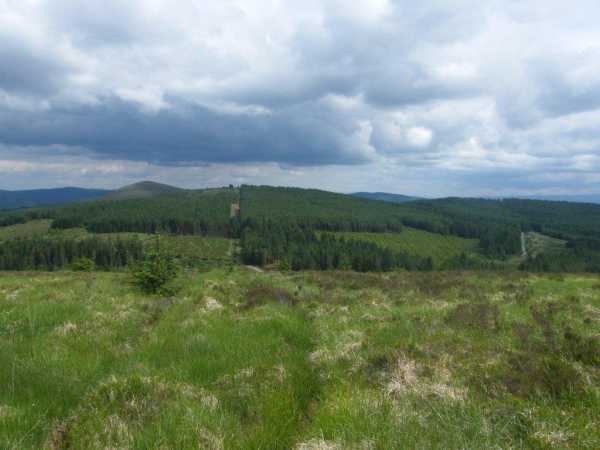 Picture from group : Slieve Felim looking back to Slieve Felim E showing fire break and Cullaun to left. Picture: Slieve Felim looking back to Slieve Felim E showing fire break and Cullaun to left. A reasonable run on a waymarked way. Park at R82389 59162 A , a forest entrance with room for 5 cars.Follow the forest track taking the first left onto the Slieve Felim way, follow the way, ignoring the many offshoots, to R80056 58141 B. At this point the track turns south west, leave the track here heading north west towards R79620 58400 C, a boggy, overgrown track junction.